Sticky Wicket – phrase, meaning: “A difficult situation”. Now, there’s a new look to the familiar “hockey stick”. Multiproxy reconstruction of Northern Hemisphere surface temperature variations over the past millennium (blue), along with 50-year average (black), a measure of the statistical uncertainty associated with the reconstruction (gray), and instrumental surface temperature data for the last 150 years (red), based on the work by Mann et al. (1999). 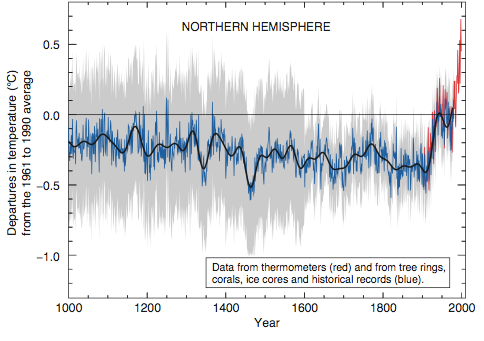 This figure has sometimes been referred to as the hockey stick. Source: IPCC (2001). Backcast from Bayesian Model of Section 5. CRU Northern Hemisphere annual mean land temperature is given by the thin black line and a smoothed version is given by the thick black line. The forecast is given by the thin red line and a smoothed version is given by the thick red line. The model is fit on 1850-1998 AD and backcasts 998-1849 AD. The cyan region indicates uncertainty due to t, the green region indicates uncertainty due to β, and the gray region indicates total uncertainty. 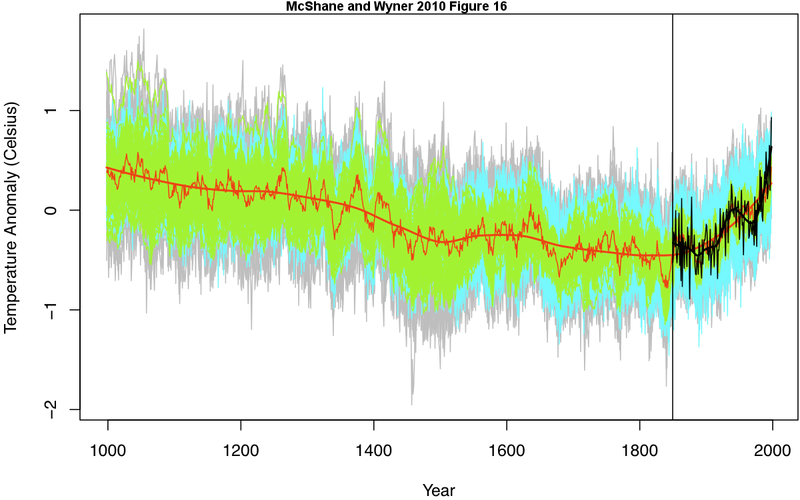 The original paper submitted by McShane and Wyner to Annals of Applied Statistics here: A Statistical Analysis of Multiple Temperature Proxies: Are Reconstructions of Surface Temperatures Over the Last 1000 Years Reliable? Greedy liars never quit, do they? 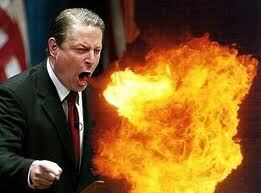 Always some slimy angle to armchair quarterback the real scientists’ work.